Deodorize swimwear, sportswear, and high-tech clothing with ¼ cup of Scented Vinegar. Add to a hot water bath and soak garments for 30 minutes. Tennis Whites & Dingy T-Shirts: Maintain whiteness and brightness with the All-Purpose Bleach Alternative. Simply presoak fabrics or add to your wash. A terrific alternative to chlorine bleach, safe for all colors and fabrics except silk and wool. Protect items throughout the wash cycle with the Mesh Washing Bag; these bags will prevent clothing from tearing and snagging in the machine. They’re the perfect solution for keeping smaller items, such as socks, together in pairs. Specifically formulated to remove perspiration, body oils, odor, and stains, the Sport Detergent will leave your moisture-wicking, high-tech performance wear smelling clean and fresh. Swimwear is best when hand washed and rinsed (preferably sooner rather than later). Remove chlorine, salt, sand, and sunscreen by laundering and/or pretreating with the Wash & Stain Bar. 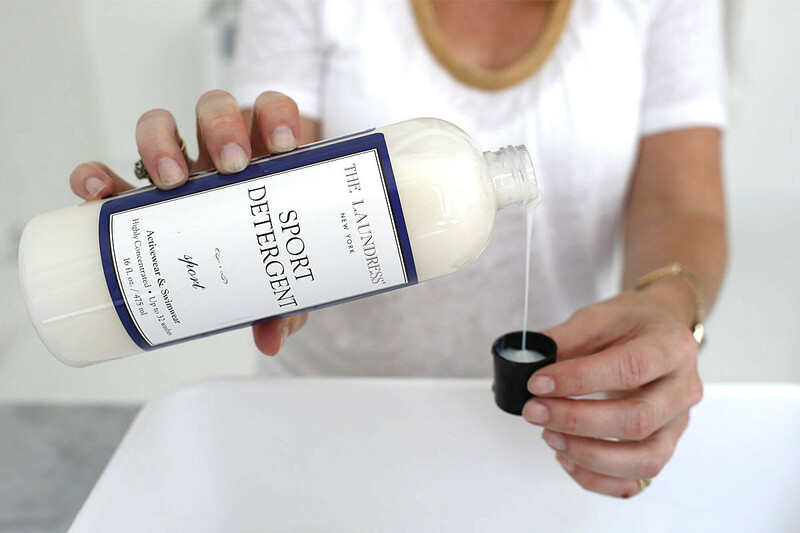 Wet the bar and gently lather soap throughout the garment—rinse well! High heat will reduce the elasticity and moisture-wicking properties of activewear. 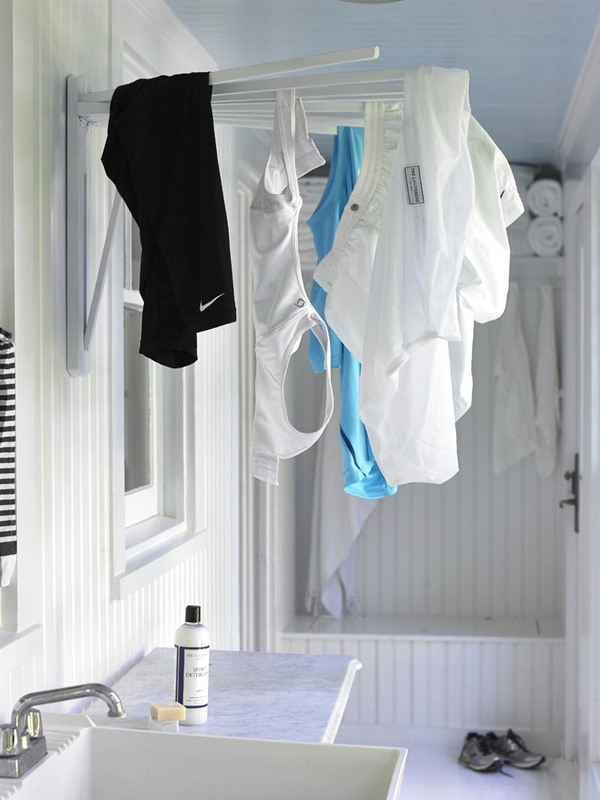 Embrace the drying rack—avoid the dryer. Remove odors and freshen everything from sneakers, gym bags, and lockers to yoga mats and sports equipment with the Sport Spray. To maintain that clean and green scent, spray items between wearings. Use the Wet & Dry Bag to keep wet swimwear and sweaty workout gear separate from the clean, dry items in your bag. Alleviate worry about leakage or spills with this perfect tote for toiletries, makeup, and sunscreen. The workout should be tough, not the laundry! Keep your activewear & swimwear in top form by removing perspiration, odor, and stains with this kit. Whether you cycle, swim, run, or Om, our Sport scent will keep you smelling fresh both during and after a workout.